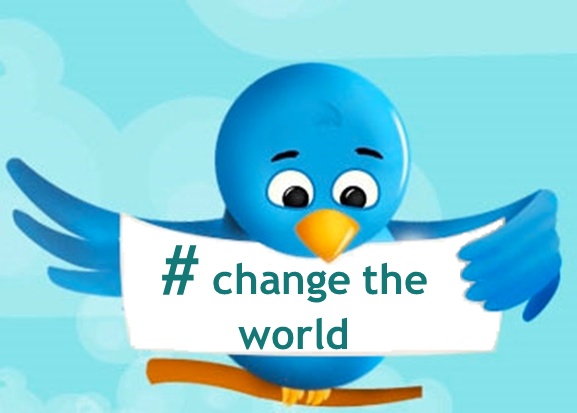 Here is a list of the top Twitter hashtags for social entrepreneurs, enterprises, and investors. If you are trying to learn from this group, promote to it, engage with it, and/or follow exciting trends in how business is being used to create social and environmental good, then these are the hashtags you need to know. Authors note: Remember to use these hashtags smartly and make sure to listen to the conversation before contributing. To help guide your contributions, be able to answer the following questions: 1. What value will you add to the conversation? 2. What do you hope to get out of it? Then structure your posts, call-to-actions, and conversations accordingly. #SocEnt | Focused on the social entrepreneurs – and relevant news – that are leading the third sector. #SocialGood | Highlights businesses, nonprofits, and individuals creating positive social progress; sponsored originally by Mashable and Summer of Social Good. #Poverty | For solutions and news specifically about solutions to poverty. #3bl| Short for triple bottom line, highlights news for the growing trends of Social Entrepreneurship and Corporate Social Responsibility (#CSR). #SocialChange | Updates on social progress, and those behind it. #Eco | News and trends as it relates to our environment (note: #Environment is still used frequently, but it is being phased out due to its length). #BOPBiz | Businesses geared at lifting up the base of the pyramid – the world’s poorest 2 billion. #ImpInv | (aka #ImpactInvesting, #Impact) highlights exciting updates from the Impact Investment world (note, sometimes #ImpIv is used, but not as much). #SoCap | Primarily for investors, news, and resources for making profits while making an impact. Especially popular during the SOCAP conference. #SoFin | Short for #SocialFinance, information regarding finance for socially responsible ventures and projects. #SocInn | Short for #SocialInnovation, exciting updates about innovation and growth in the third sector. #SVC | Acronym for social venture capital – news and resources for those looking for funding. To see the most popular at any given time, check out www.hashtag.org and www.Trendistic.com to see usage data and trends. Still not sure what to Tweet, or which one to use? Make sure to follow the leaders of the conversations. As a shortcut, you can follow my For Social Entrepreneurs list on Twitter, or check out some of the top contributors: @netimpact, @acumenfund, @jnovogratz, @SOCAPMarkets, @NextBillion, @GatesFoundation, @SkollFoundation, @EchoingGreen, @AspenANDE, @ChangeMakers and @GOOD. For more suggestions and information – including how to start your own hashtag – I recommend reading Socialbrite’s article 40 Hastags for Social Good. And when you are ready to do more than just tweet about changing the world, you should subscribe to updates from MovingWorlds to learn more about how to use your business skills to make the world a better place.